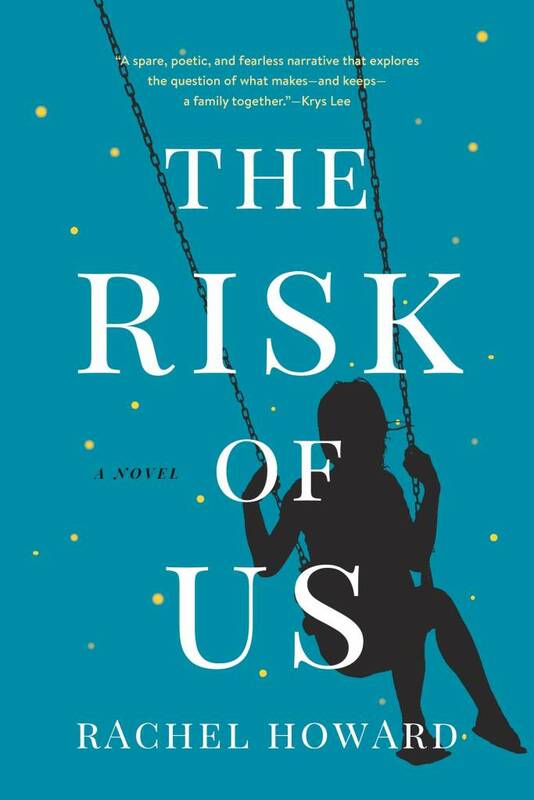 The Risk of Us, a novel, will be published by Houghton Mifflin Harcourt on April 9, 2019. The Risk of Us is now available for pre-order from your favorite independent bookseller, or online via IndieBound. If you’re on Good Reads, you can add The Risk of Us to your “to-read” list here. Tuesday, April 9th: Green Apple Books, San Francisco in conversation with Vanessa Hua 7 p.m.
Thursday, April 11th: The Alley, Oakland. Book party, 8:30 p.m.
Sunday, April 14th: Flatiron Writers Room, Asheville, NC, in conversation with A.K. Benninghofen, 3 p.m.
Wednesday, April 17th: McNally Jackson Books, Brooklyn NY, in conversation with Kate Greathead, 7 p.m.
Friday, April 19th: Third Place Books, Seattle (Ravenna store location), in conversation with Joshua Mohr, 7 p.m.
Monday, April 22nd: Book Soup, Los Angeles, in conversation with Medaya Ocher, 7 p.m.
Tuesday, April 23rd: Chaucer’s Books, Santa Barbara, in conversation with DJ Palladino, 7 p.m.
Thursday, April 25th: Time Tested Books, Sacramento, 7 p.m.
Saturday, April 27th: Petunia’s Place, Fresno, 11 a.m.
Sunday, May 5th: Stranger Than Fiction reading series, Edinburgh Castle Pub, San Francisco, 3 p.m.
Saturday, May 18th: Babylon Salon reading series, The Armory Club, San Francisco, 6 p.m.
Rachel Howard has given us a portrait of family-building and attachment that is at once beautiful and painful, serious and funny, page-turning and insightful. I was deeply moved by this novel, a powerful reminder of the risks we take on whenever we love anyone. Rachel Howard’s The Risk of Us (so accurately titled) is a novel of deep pain yet also laughs – lots of them. Nothing is easy in this book, and that’s as it should be. With risk comes a kind of awesome grace. A wonderfully written and candid examination of what it means to be a family. This book reads like a thriller. A beautiful story about connection and love despite and beyond trauma. The Risk of Us is a spare, poetic, and fearless narrative that explores the question of what makes—and keeps—a family together. Be prepared for an absorbing, unflinching chronicle of the formidable difficulties and vast rewards of love. Rachel Howard works with an elegant complexity, rendering family life with its necessary cocktail of pain and humor and pathos. She’s the kind of writer I admire most: an unflinching, savage, and ultimately tender eye trying to make sense of all our confusions.